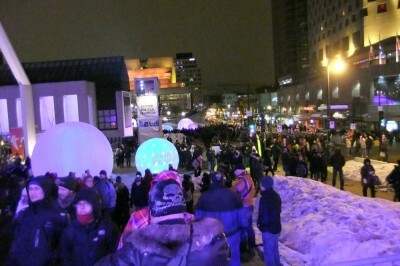 We just happened to be in Montreal for Nuit Blanche last night (Montreal’s all-night arts festival). It was the most French that I have spoken since high school. The food was amazing and the people were very friendly. Vraiment Superbe!